Vets With A Mission's 2019 humanitarian medical team trips to Vietnam are filled-up, sold-out! The first team, March 29 - April 13; the Training team April 10 - 20; and the second team April 13 - 30 we're quite popular and sign-ups were at a faster pace than usual this past year. The 2020 Vietnam team trip announcement will be made June 1, 2019. If there is a team trip, it will take place either March or April. If interested, REQUEST from Chuck Ward at vetswithamission@backroads.net or call him at 803-405-9926, to be placed on a team volunteer list for consideration and additional information, when available, for 2020. What do VWAM humanitarian teams do? You do not have to be a medical-health professional to participate on a VWAM team. 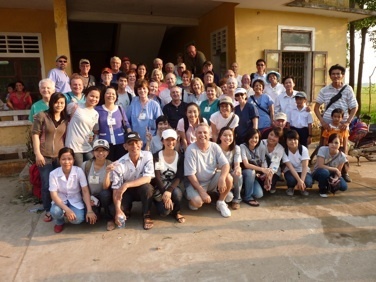 Medical teams usually work out of a previously built or sponsored VWAM clinic in Hue City, its suburbs, or rural areas in Thua Thien Hue Provinces. It could be in a Ward, Commune or District in the city or in a rural mountainous area. Vets With A Mission has a reputation for going to those places well off the beaten tourist path to help the most disadvantaged. 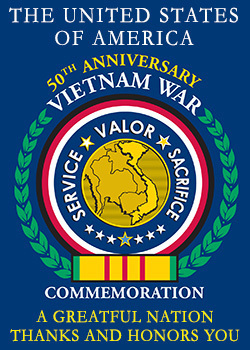 Both health/medical volunteers and non-health/non-medical volunteers have opportunities to serve on each team, and Vietnam veterans are given preferred placement on teams. Previous team members are also given priority placement on a trip/team over first-time applicants. Non-veterans, who are not medical-health professionals, are also welcome to join a team! Approximately 35 volunteer positions are available on each team. Teams serve at a clinic VWAM built or sponsored, and each medical/health professional has an interpreter assigned to them. Medical/health professionals obviously do things like screening of patients (Nurses) and Patient examiners (Physicians, PA’s or NP’s, dentist or optometrist/ophthalmologists, PT’s etc.) see the patients. Pharmacists fill prescriptions and distribute supplies as well as canes, walkers, etc. Non-medical/health professionals maintain clinic security and order, assist in the flow and movement of patients at the clinic, serve in the pharmacy or patient registration, and fulfill other duties. There is a role for every team member volunteer to fill regardless of professional training or lack thereof!